But if it’s so bad for us, why do we keep doing it? First, there is the sensation of eating the food. This includes what it tastes like (salty, sweet, umami, etc. ), what it smells like, and how it feels in your mouth. This last quality — known as “orosensation” — can be particularly important. Food companies will spend millions of dollars to discover the most satisfying level of crunch in a potato chip. Their scientists will test for the perfect amount of fizzle in a soda. 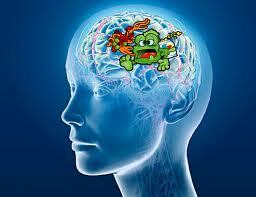 These factors all combine to create the sensation that your brain associates with a particular food or drink. … an edible shell that goes crunch followed by something soft or creamy and full of taste-active compounds. This rule applies to a variety of our favorite food structures — the caramelized top of a creme brulee, a slice of pizza, or an Oreo cookie — the brain finds crunching through something like this very novel and thrilling. Salivary response. Salivation is part of the experience of eating food, and the more that a food causes you to salivate, the more it will swim throughout your mouth and cover your taste buds. For example, emulsified foods like butter, chocolate, salad dressing, ice cream, and mayonnaise promote a salivary response that helps to lather your taste buds with goodness. This is one reason why many people enjoy foods that have sauces or glazes on them. The result is that foods that promote salivation do a happy little tap dance on your brain and taste better than ones that don’t. Calorie density. 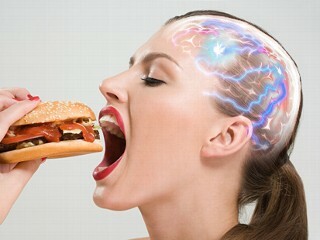 Junk foods are designed to convince your brain that it is getting nutrition, but to not fill you up. Receptors in your mouth and stomach tell your brain about the mixture of proteins, fats, carbohydrates in a particular food, and how filling that food is for your body. Junk food provides just enough calories that your brain says, “Yes, this will give you some energy,” but not so many calories that you think, “That’s enough, I’m full.” The result is that you crave the food to begin with, but it takes quite some time to feel full from it. Whatever you want to call it, the lesson is the same: If you can find ways to gradually eat healthier, you’ll start to experience the cravings of junk food less and less. I’ve never claimed to have all the answers (or any, really), but here are three strategies that might help. 1. Use the “outer ring” strategy and the “5 ingredient rule” to buy healthier food. The best course of action is to avoid buying processed and packaged foods. If you don’t own it, you can’t eat it. Furthermore, if you don’t think about it, you can’t be lured by it. We’ve talked about the power of junk food to pull you in and how memories of tasty food in the past can cause you to crave more of it in the future. 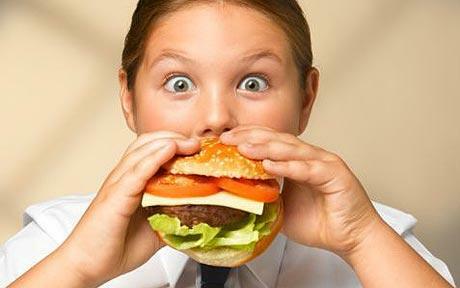 Obviously, you can’t prevent yourself from ever thinking about junk food, but there are ways to reduce your cravings. First, you can use my “outer ring” strategy to avoid processed and packaged foods at the grocery store. If you limit yourself to purchasing foods that are on the outer ring of the store, then you will generally buy whole foods (fruits, vegetables, meat, eggs, etc.). Not everything on the outer ring is healthy, but you will avoid a lot of unhealthy foods. You can also follow the “5 ingredient rule” when buying foods at the store. If something has more than 5 ingredients in it, don’t buy it. Odds are, it has been designed to fool you into eating more of it. Avoid those products and stick with the more natural options. We all have stressful situations that arise in our lives. Learning to deal with stress in a different way can help you overcome the addictive pull of junk food. This could include simple breathing techniques or a short guided meditation. Or something more physical likeexercise or making art. With that said, if you’re looking for a better written and more detailed analysis of the science of junk food, I recommend reading the #1 New York Times best-seller Salt Sugar Fat. One of my goals with this article is to reveal just how complex poor eating habits can be. Junk food is designed to keep you coming back for more. Telling people that they “need more willpower” or should “just stop eating crap” is short-sighted at best.